Team Canada's men's and women's volleyball squads will have a big challenge to meet at the Pan Am Games, which includes some of the best volleyball nations in the world. Brazil is the best team in the world, while the U.S. is ranked fifth on the men's side. Canada, which heads into the tournament ranked 14th, avoids Brazil in the preliminary round, but will have to play the U.S.
"We've played the teams we will face in the preliminary round many times before, so there are definitely rivalries and respect among the teams," said Glenn Hoag, head coach and former player for the Canadian men's national team. "I'm sure fans will be excited to watch Canada play the U.S., but all the matches will demonstrate a high level of play." 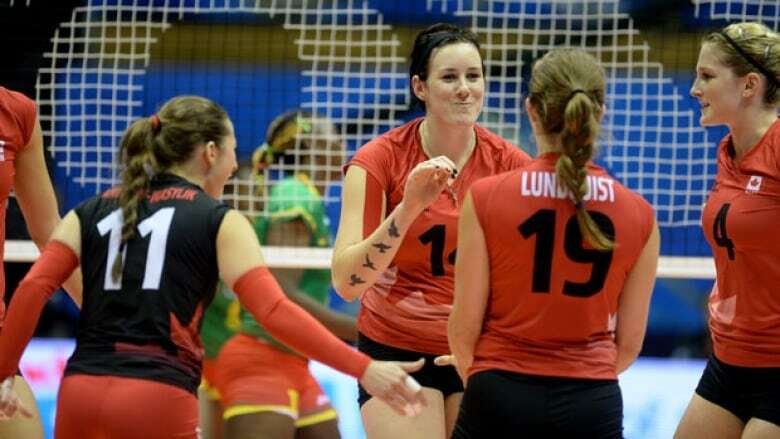 The Canadian women are ranked 16th in the world and are facing a draw that includes world No. 1 U.S. and world No. Brazil and world No. 6 Dominican Republic. Luckily for the Canadians, they won't have to play the Americans or Brazil in their opening round matches. Tickets for all Pan Am Games events are on sale, including the sports that went off the market for a short period. Friday, July 17 vs Mexico at 7 p.m.
Sunday, July 19 vs Puerto Rico at 3:30 p.m.
Tuesday, July 21 vs United States at 7 p.m.
Thursday, July 16 vs Dominican Republic at 7 p.m.
Saturday, July 18 vs Cuba at 7 p.m.
Monday, July 20 vs Argentina at 1:30 p.m.